Mevo Liberty Hotel has two Mevo vehicles in permanent residence. Access is via the Liberty Hotel driveway (down the ramp, to the right of the building before the car yard). 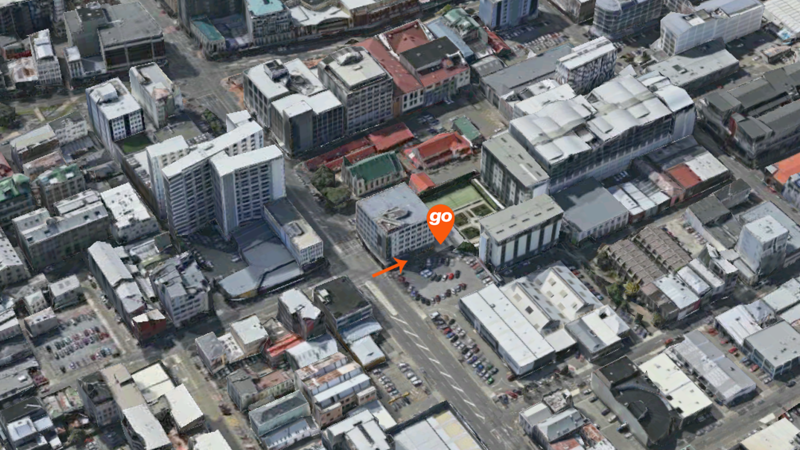 Taxi: Use "82 Taranaki Street" as your destination, then walk up from there. When you arrive at the Liberty hotel on foot, enter via either side of the driveway. You'll find the Mevo vehicles parked in our spaces down the ramp and directly behind the building. The Liberty Hotel driveway is one-way only. Your Mevo will already be pointed in the right direction, simply drive behind the Liberty Hotel and up the ramp. When you exit, please turn left only onto Taranaki and then correct your route from there. It is unsafe to cross onto Ghuznee St or to turn right onto Taranaki Street due to the proximity of the traffic lights. Access to this Pod is easiest from the leftmost southbound lane of Taranaki (driving away from the waterfront). Turn left into the Liberty Hotel driveway after the traffic lights and down the ramp. Alternatively, you may also enter from the right hand turn lane of Ghuznee Street with the lights. It is unsafe to enter the driveway from the northbound lanes of Taranaki Street.